California’s largest nursing home operator has exploited lax regulation to enrich its owner while leaving patients in understaffed facilities, a study by the National Union of Healthcare Workers has found. The union’s report “Brius Healthcare’s Insider Transactions” details how the firm’s owner, Shlomo Rechnitz, has steered millions of patient care dollars through a web of companies he created to provide goods and services – often at inflated prices – to his approximately 80 nursing homes across the state. The report comes just two months after California legislators ordered an audit into Brius’ financial dealings amid concerns over repeated patient care violations. “There is an urgent need for the state to act now to protect thousands of elderly, frail Californians and bring real transparency to the nursing home industry,” NUHW President Sal Rosselli said. The union represents workers at two Brius homes in Marin County. NUHW researchers reviewed thousands of pages of documents filed with state agencies in 2015, which revealed that Brius homes purchased $67 million in goods and services from 65 companies controlled by Rechnitz and his relatives. Approximately 80 percent of Brius funds come from the taxpayer-funded Medicare and Medi-Cal programs. Rechnitz, a Los Angeles billionaire, created one firm that charged his homes $3.5 million in 2015 to offer financial advice and have him review their monthly profit-and-loss statements, public records show. Other firms appear to exist solely as paper landlords that charge his nursing homes above-market rents. In one instance, Brius took over a nursing home in San Rafael that had paid $152,535 in rent directly to its landlord the previous year. Rechnitz immediately created a middleman company to lease the facility from the property owner for $259,200 a year, records show. He then had that company sublease it to the nursing home for $388,800 – a 50 percent mark-up that appears to be pure profit for Rechnitz’s middleman company. Since 2015, that home has been cited for failing to meet minimum staffing levels, stocking expired food including “thickened apple juice,” and having so few towels and wash cloths that caregivers have had to wipe patients with paper towels. Rental costs at the Eureka Rehabilitation and Wellness Center in Humboldt County jumped from 333,530 to $827,751 after Brius assumed control, records show. Earlier this year, state regulators fined the facility $160,000 and cited it for failing to meet minimum state staffing levels. The facility is also facing two wrongful death lawsuits. While it’s not uncommon for major nursing home operators to do business with other companies they control, Rechnitz has taken the practice to another level in terms of diverting taxpayer dollars away from patient care, Rosselli said. “There is no reasonable explanation other than sheer greed for why Shlomo Rechnitz needs to create middleman companies to jack up the rents of his nursing homes,” Rosselli said. Overall, Brius nursing homes paid rental prices that were 36 percent higher per nursing home bed than competing homes in the same county in 2015, the NUHW analysis of state records revealed. The inflated rents amounted to an estimated $12 million that flowed into Rechnitz-controlled property firms rather than being spent on patient care. Brius homes also reported owing $23.2 million to companies controlled by Rechnitz in 2015. State reporting rules do not require Rechnitz to report whether he charged the homes fair market interest rates. Meanwhile, Brius has found itself repeatedly in the crosshairs of state and federal regulators for providing substandard care. 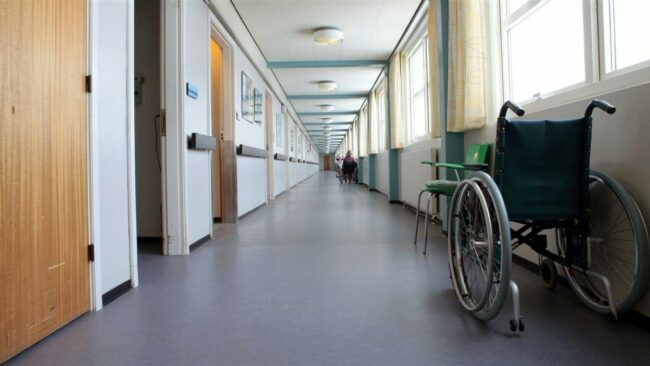 Last year, the California Department of Public Health denied Brius’ application to take over five nursing homes, noting that the firm had been cited for 386 serious patient care violations over the previous three years. As Brius continued racking up patient care violations, California legislators in June approved a state audit to examine the impact and appropriateness of the company’s financial transactions with firms controlled by Rechnitz. The audit is scheduled for completion next year. To ensure adequate care, NUHW is calling for the state to adopt several transparency measures including requiring homes doing business with related firms to disclose whether they are paying fair market prices for goods and services and fair market interest rates for loans. The union also calling for California to require homes to submit annual financial statements from each related firm that supplies them with more than $50,000 in goods and services.